For those that are new to the Dundee Auction we want to help shed some light so you can be prepared for a fun night out! This is not your ordinary school auction, and for that reason we get some questions from the community on what to expect. 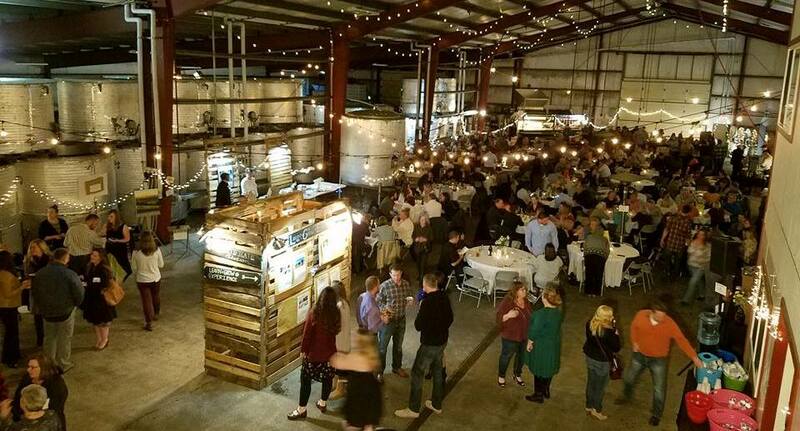 The night, which will be held at the wonderful Dobbes Family Estate Winery has has become a community event not to be missed, and we expect around 350-400 people to attend this year! There are a variety of activities for you to choose from on the night of The Event (something fun for everybody). We’re going with a Wine Country Party type of theme. Not sure what that means? It means come as you like, no strict dress code required. If it’s a reason to get all dressed up – go for it! If you’ve been dressing up all week for work and want to come in your favorite pair of jeans, that’s fine too! We’ll have heaters, but it can be chilly in the winery so dressing in layers is always encouraged. You can see photos from past events on our Facebook page, but you’ll definitely see everything from jeans to cocktail dresses on the night of the event. How Do I Get Tickets ? Buy Ticket Online – online ticket sales will be available from February 1 – March 15. Go to our Tickets page to register to attend or learn more about ticket prices. Buy Tickets at the Door – tickets will be available at the door, but to avoid long lines we encourage you to buy tickets in advance. Donate/Sponsor/Volunteer – as a thank you for those who participate in the event in any of these ways you can get complimentary tickets to attend. A ticket covers your admission for the evening as well as a tasting menu which includes tasty bites from each of our food sponsors as well as tastings of local wine & beer from our beverage sponsors. Additional drinks & desserts can be purchased at the event (dessert table purchases to benefit Outdoor School Program). Bottles purchased at the wine wall may also be opened & enjoyed at the event. The goal of this event is of course to raise funds for our local school, but we also really love that it is a time to bring our community together for a fun night out. Don’t let budget stand in your way of joining us for some fun, food, and drinks. Whether you spend $25 on a bottle of wine or centerpiece or $5,000 on some amazing auction items, we want you to enjoy the night with us! Do I Need to be a Parent of a Dundee Elementary Student? Absolutely not! We invite and encourage all neighbors, friends, family members, business owners, or other local folks looking to get out and enjoy some local fun to come on over to Dobbes on Saturday, March 16th for a good night mingling with a variety of community members. The event is being held at a winery and alcohol will be served, so is intended to be a grown-up night out. The overall event goal is to raise money to improve students lives at Dundee Elementary School. We fund the long term projects of the Dundee Parent Group, an organization run 100% by parents and community volunteers. In the past we have funded things such as: technology improvements, ADA accessible playground equipment, a school resource room, school safety measures, and outdoor school. Special Cause Paddle Raise Funds – As part of our fundraising evening, we hold a special paddle raise and all donations are given to a specific cause in our school or community. Stay tuned to learn about what we’re doing this year. Are local craftspeople or businesses encouraged to donate? We have many ways for community members to help support this event through donations and we will continue to accept donations until March 1. – Do you have a skill or talent? Donate a class or experience and teach others your craft. If I Win Something, What Payment is Accepted? We are able to accept Cash, Check (made payable to Dundee Parent Group), or any of the major credit cards (Visa, MC, Amex). Do I have to take home what I win that night? Of course the preference is that everyone goes home with the items they bid on and won. However, in the circumstance that someone wins an item that is too large to transport home that night we can arrange for pick-up on Sunday morning during our event clean-up (between 9am-12pm). Have a question we didn’t answer? Email us!